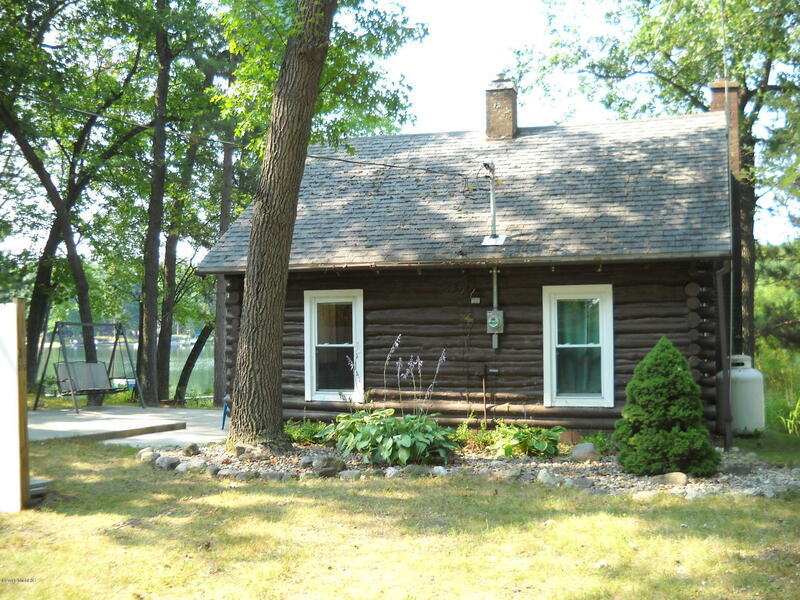 Perfect getaway on waterfront, this cozy log cabin is offered at a great price. Located on all sports Bitely Lake with 56' sandy frontage, a field-stone retaining wall and sandy beach. Newer deck and patio areas to relax & enjoy sunsets! Included in list price is a 1/2 acre lot across Bingham with a garage on it. Garage has electric to it & there's room for an RV or boat storage. The cabin has a nicely sized living area with a wood burning fireplace and also a wall furnace. Spacious Bedroom and additional sleeping on the 3 season porch. Owners have completely redone the porch with new windows, flooring, siding, insulation. Newer electrical panel and also recent upgrades in flooring throughout the cabin have been added.